Through a partnership between the College of Entertainment & Music Business and Creatives’ Day, a non-profit organization that serves the creative community, Belmont hosted its first adjunct faculty job and creatives’ resource fair. Through the collective vision of Curb College of Entertainment and Music Business (CEMB) Associate Dean Cheryl Carr and the Director and Founder of Creatives’ Day Brian Sexton, the event’s objective was to serve the creative community while broadening the University’s reach to sectors of the artistic community that offer diverse contributions and expertise. The event was attended by approximately 150 participants. Attendees received information about the University and CEMB programs from Associate Dean Carr, Chair of Music Business Dr. 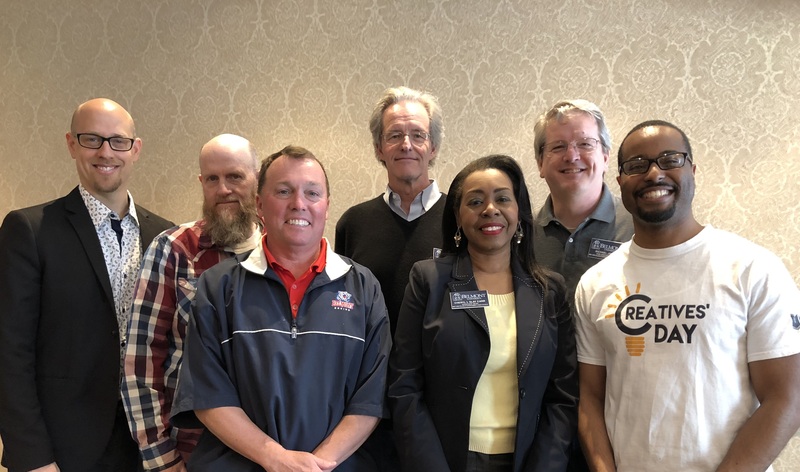 Rush Hicks, Chair of Entertainment Industry Studies Dr. David Schreiber, Chair of Songwriting James Elliott, Chair of Motion Pictures Will Akers, Chair of Audio Engineering Technology Michael Janas and Professor of Media Studies Rich Tiner.